At least one analyst believes that WPP's PR operations are ripe for acquisition, after the exit of Martin Sorrell triggered suggestions the holding group might break up. LONDON — An analyst note earlier this week has suggested that WPP's PR operations are a likely contender for a sale should the holding group break up after the dramatic exit of longtime CEO Sir Martin Sorrell. Liberum's Ian Whittaker believes that PR is the most obvious asset to sell after WPP's market research business, which is categorised as data investment by the holding group. "If the new management wanted to go further, then we suspect WPP's PR assets could also be put up for sale although this is less likely than a sale of the data investment unit," writes Whittaker in his note. "As with data investment management, its margins are sub-group level (at 8.1% vs 14.9%) and there are few revenue synergies between it and the other WPP assets." The 8.1% margin, presumably on revenue rather than fee income, will raise eyebrows among holding group rivals that are accustomed to generating higher returns for their shareholders. Whittaker goes on to note that at a 10x EBITA multiple, an exit would raise £1.8bn, and could involve a private equity buyer, management buyouts, or a mixture of both. WPP's PR and public affairs firms reported revenue of £1.17bn in 2017. Speaking on an Echo Chamber podcast recording today, though, former H+K Strategies EMEA CEO Sally Costerton noted that a private equity buyer would likely be unable to improve those margins by cost-cutting, given the famous cost controls already in place at WPP. "There's not a lot of fat there...they don't do fat," said Costerton. Update: In an note to WPP's 200,000 employees, issued after this story went live and obtained by the Holmes Report, new WPP chief operating officer Mark Read dismisses the prospect of a breakup. "There’s been speculation about breaking up the Group. We don’t believe this makes sense. In a world where clients need faster, more agile, integrated solutions, we need to get closer together, not further apart." However, R3 principal Greg Paull, whose company produces influential analysis of agency M&A activity, said that a PE investor, or a network buyer, would not be a surprise for WPP's PR firms. "The public relations brands haven’t driven the synergies with the rest of the businesses that everyone might have hoped," said Paull. "With that in mind, it wouldn’t be a surprise to see either a strategic investor using PE funds come in and try and drive margin improvement — or a fledgling network such as Bluefocus, Next Fifteen or Dentsu emerge as a potential acquirer." Other industry M&A specialists were less convinced, with one noting that the big PR agencies would prove far less attractive to potential buyers, including big consulting firms. "For one of the big consulting firms like Deloitte, it would be natural for them to move into adjacent spaces, but I would look for them to cherry pick," said Prosper Group founder Larry Kamer. "They are not going to want a model that is dependent on big clients spending several million dollars per year for those kind of services. There aren’t that many of those kind of clients left." Kamer pointed out that specialty firms — for example, Washington lobbying firms (of which WPP has several) and crisis management firms — remain "pretty tempting for a prospective buyer," given that their margins are often upwards of 40%. "Unfortunately for the bigger firms, for whatever reason they tolerate much lower margins," said Kamer. "It’s hard to see, unless the brand is powerful enough, how those firms wouldn’t be shattered and reorganized somehow." WPP's largest PR firm is now, of course, Burson Cohn & Wolfe — which will clock in at around $700m once the merger is complete. 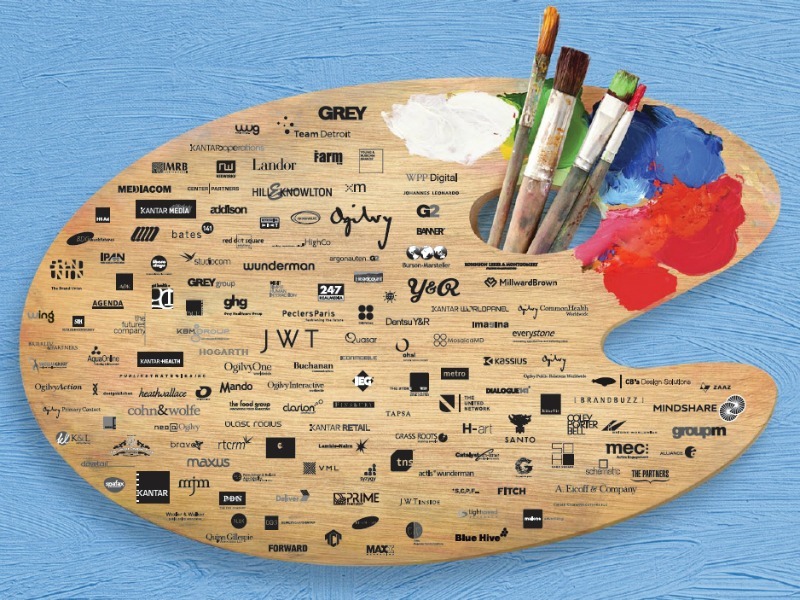 After that comes H+K Strategies and Ogilvy PR, both in the $350-$400m range. Finsbury is the only other WPP PR firm above $100m; the rest of its holdings in the sector — including such names as Blanc & Otus, Buchanan, Clarion and Glover Park, are considerably smaller. "Out of all the subsidiaries, WPP is taking higher margins from Kantar and Group M, so you can see it might end up with shareholders forcing a sell-off of those more profitable pieces and leaving advertising and PR," added agency growth consultant Richard Houghton. Private equity has emerged as a major buyer of PR firms in recent years, often helping to fund acquisition drives from such consultancies as Teneo Holdings, W2O Group and Finn Partners. "The PR assets would be much better if they were privately-held," said the CEO of a major rival agency. "The group never appreciated or understood how to manage PR firms. The expectations for PR to deliver margins of that nature consistently is unrealistic in the current, media fragmented environment." "A bright private equity business would give minority shares to the management, empower them to get on with it," added a publicly-owned PR agency CEO. "Don’t forget any company buying would look at the real profit margin before they pay a management fee to the holding company. This will vary but effectively would add back around 5% to the operating margin." Additional reporting by Diana Marszalek and Maja Pawinska Sims.